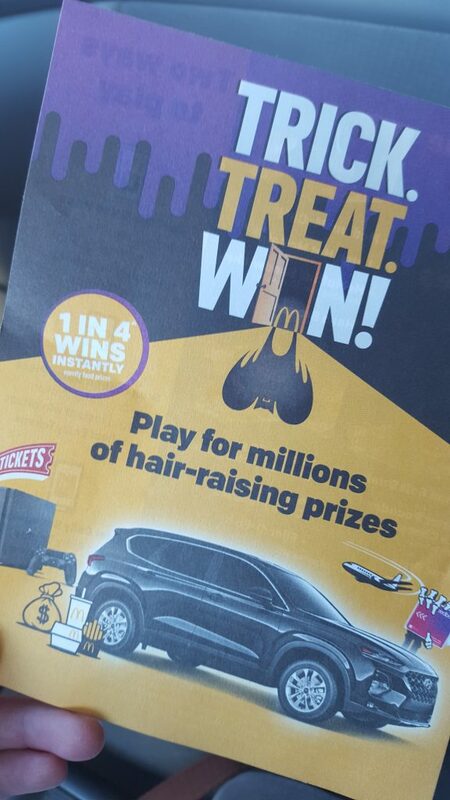 Have you heard of the Trick.Treat.Win promotion at McDonald’s? 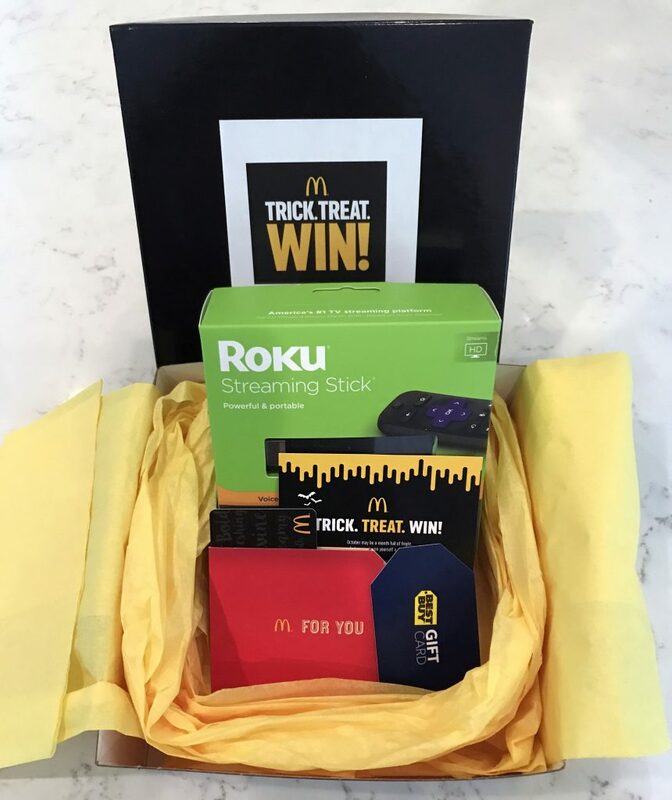 Read on to find out more, and enter to win a Roku/Best Buy/McDonald’s prize pack giveaway! This post and giveaway is sponsored by McDonald’s. It is mind blowing that Halloween is less than a week away. How did it sneak up on me so quickly? Luckily, the kids already have their costumes, and our trick-or-treat plans are made. 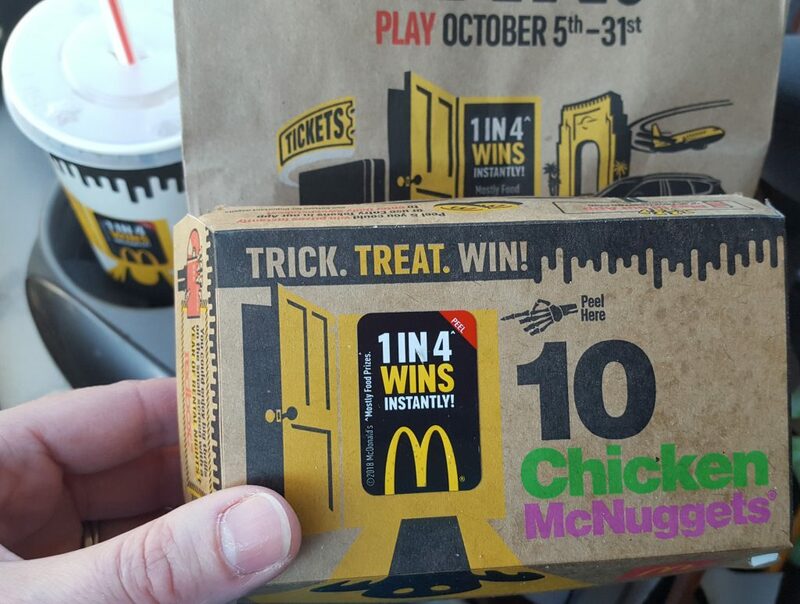 But we aren’t the only ones celebrating with tricks and treats– so is McDonald’s! With their current Trick.Treat.Win promotion, customers have a 1 in 4 chance of winning food and prizes through October 31. Learn more about the Trick.Treat.Win game here! To win with the McDonald’s app, collect entry tokens from the above menu items and enter them into the app for a chance to win a new prize each day. With prizes like an all-new 2019 Hyundai Santa Fe and Beaches Resorts Luxury Included® Vacations, winning one of these would be awesome! Promo disclosure: NO PURCHASE NECESSARY TO ENTER/WIN. A PURCHASE WILL NOT INCREASE CHANCES OF WINNING. Open to residents of 50 US & DC 13+. In Restaurant Game ends 10/31/18, or while Game Pieces last. 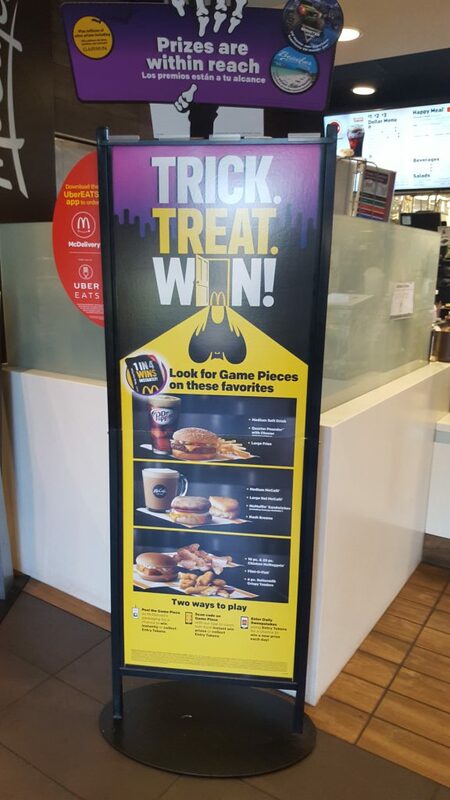 Subject to Official Rules at participating McDonald’s, in the McDonald’s App and www.TrickTreatWin.com. See Official Rules for details on how to play without purchase. Void where prohibited. I have another chance for you to win with McDonald’s today! Use the below Rafflecopter form to enter to win! Giveaway details: Void where prohibited. Giveaway open to US residents age 18+. 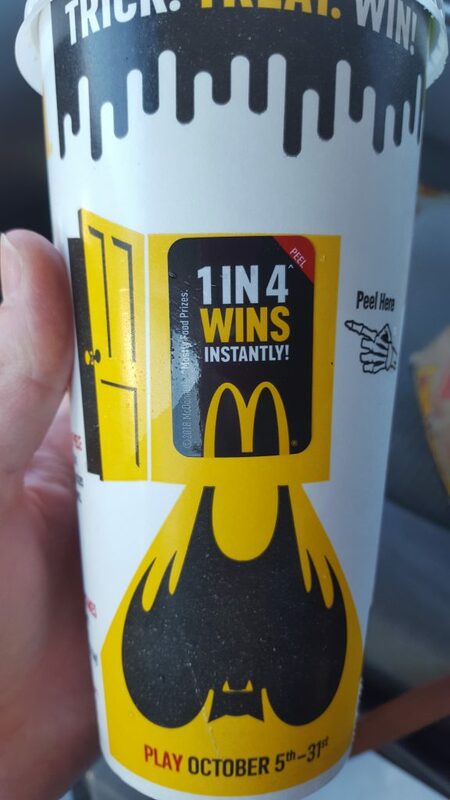 This giveaway is sponsored by McDonald’s. It Happens in a Blink, LLC is not responsible for shipment of the prize pack. Prize pack will be shipped to the winner by a McDonald’s representative. The winner will be selected randomly on October 29, 2018. The winner will be contacted by email. Selected winner will have 48 hours to respond before a new winner is chosen. Chicken nuggets are my favorite!! I love McD’s french fries! Chicken ranch wrap combo with fries, and a large sweet tea. Last but not least, a caramel sundae. Favorite is the quarter pounder. My favorite McDonald’s menu item is the Filet-O-Fish! my favorite menu item from McDonalds is a big mac. The french fries are definitely my favorite menu item from McDonald’s! My favorite is a Big Mac and their fries. McDonald’s french fries are definitely my favorite item on the menu! I love McDonald’s Chicken nuggets. I like their egg & cheese biscuit. The Filet-O-Fish sandwich is my favorite. My favorite is the Quarter Pounder with cheese, so good!